Sir Terry Farrell, internationally renowned architect and urban designer, talks to us about what draws him to John Thomson’s photographs. John Thomson’s photographic exploration of China in the 1860s featured not only portraits of people but also striking images of the landscape and architecture of China. 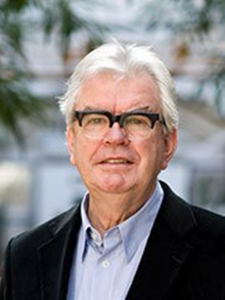 Sir Terry Farrell is an architect and urban designer who has created major iconic buildings in both the UK and China. 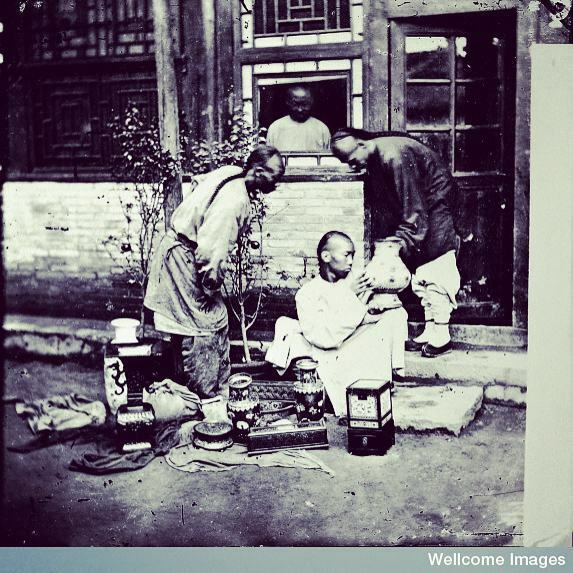 He has been a long time fan of John Thomson’s work and now shares with us what he loves about the images that this legendary Victorian photographer brought back from his China travels. For millenia, the only way for travellers to visually depict what they saw in far flung lands was by drawing and painting. From early line drawings, the art of visual representation developed in the West to the highly stylised almost photographic realism of the Victorian period. But all paintings are re-creations of what we see – interpreted through the eyes and hands of the artist. They are “almost photographic” but not completely so. And then photography was invented and throughout the 19th century, this new technology kept improving and becoming more portable. John Thomson was a new breed of artist – the traveller photographer, an early version of the photojournalists who now go on assignment for National Geographic and other travel publications. This co-incided with a time when the West’s interest with foreign lands and culture was reaching ever higher peaks. While photographic equipment was portable, it was still hugely cumbersome. During John Thomson’s time, cameras were the size of your inflight carry-on bag and needed a tripod to stand on. The images were captured on glass plate – so imagine how many heavy glass plates the size of your mid-size laptop computer screen you would need to lug around for your street and landscape photos. Then developing the images had to be done immediately – and for that process, you would need a vast range of chemicals, tubs to put those chemicals in and a big light-proof tent to work in. “Thomson was astonishingly brave and took risks inspired, no doubt, by his new visual recording method,” says Sir Terry. “The hardship and endurance is hard to imagine today ,,,not only the primitiveness of travel (compared to today’s so jet travel to anywhere on the globe ) and subsistence of his time (today hotels are everywhere ) but also the sheer difficulty of transporting the equipment of photography at that time. It’s so difficult now to appreciate these extraordinary challenges where nowadays we enjoy ubiquitous air travel and photographs taken from pocket cell phones. Sir Terry Farrell is a British architect and urban designer who has worked and lived in Hong Kong and the UK. He is the founder partner of Farrells which has studios in London, Manchester, Hong Kong and Shanghai. In the UK, his best known work includes Charing Cross Station and the MI6 HQ building featured in recent Bond movies. In China and Hong Kong, he designed Beijing South Railway Station and the Peak Tower among many well-known landmark buildings.